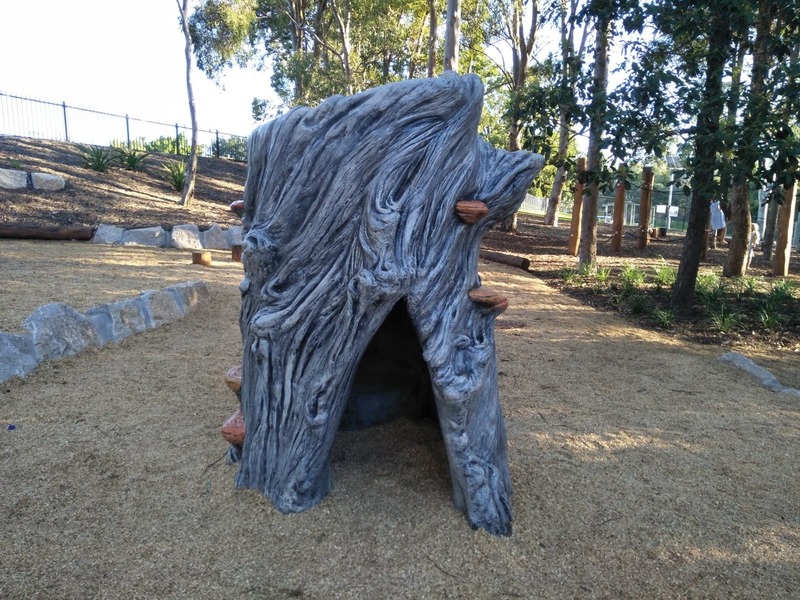 Outdoorsy play has never been more fun than at Underwood Park's newly-opened Nature Play playground. Nestled beneath the well-established trees of Priestdale's immensely-popular Underwood Park, this wood-chip and mulch-based playground allows kids to play their hearts out while also getting down (and maybe even a little bit dirty) amongst nature. 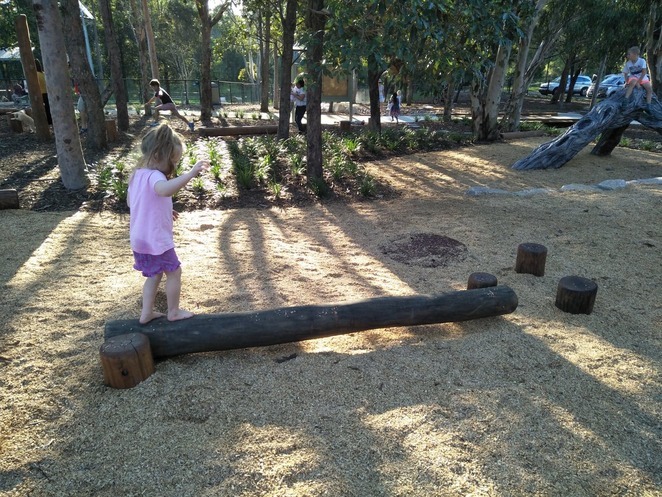 There's a number of faux tree branches and stumps for kids to clamber over or hide within, plus a balancing obstacle course made up of horizontal and vertical logs of differing heights and lengths. A series of concrete tunnels plus a rope balancing course also feature. 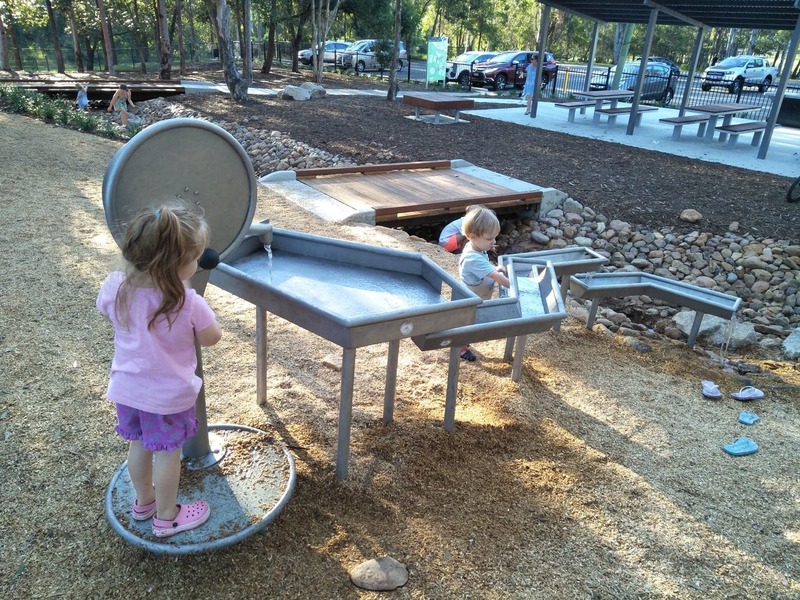 But the real highlight for children of all ages would have to be the water-pumping feature, where the kids themselves can control the flow of the water simply by turning a wheel. 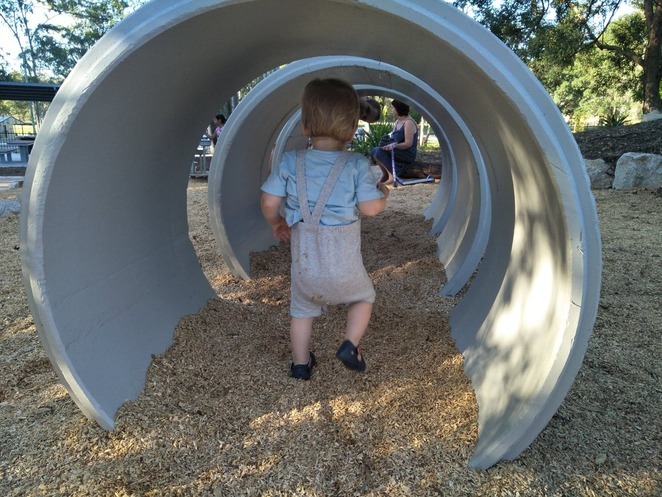 Although only one person can man the wheel at a time, the others will enjoy throwing pebbles, leaves (or "boats" to my little ones), and even handfuls of wood chip into the channels and watching them flow downstream. Older children (or those steady on their feet) can then scamper down to the creek bed below and create dams and mini rivers with the many rocks lining the course. 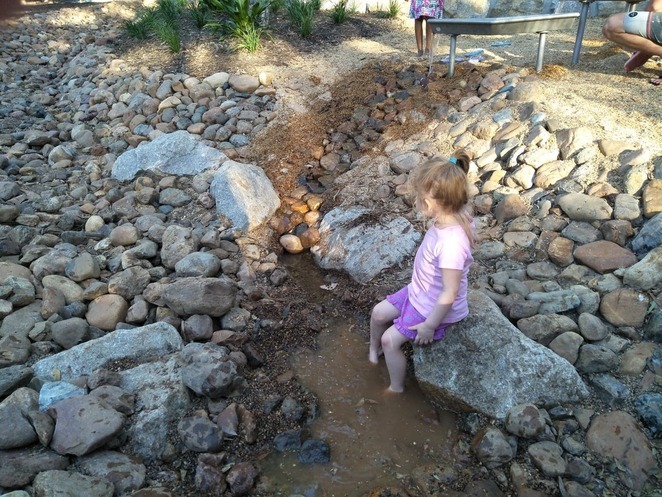 There's also plenty of opportunity for kids to simply plonk themselves down in a puddle of water for a good old-fashioned cool down. So make sure you pack a towel and change of clothes if your kids – like mine – enjoy nothing more than splashing about in muddy puddles. 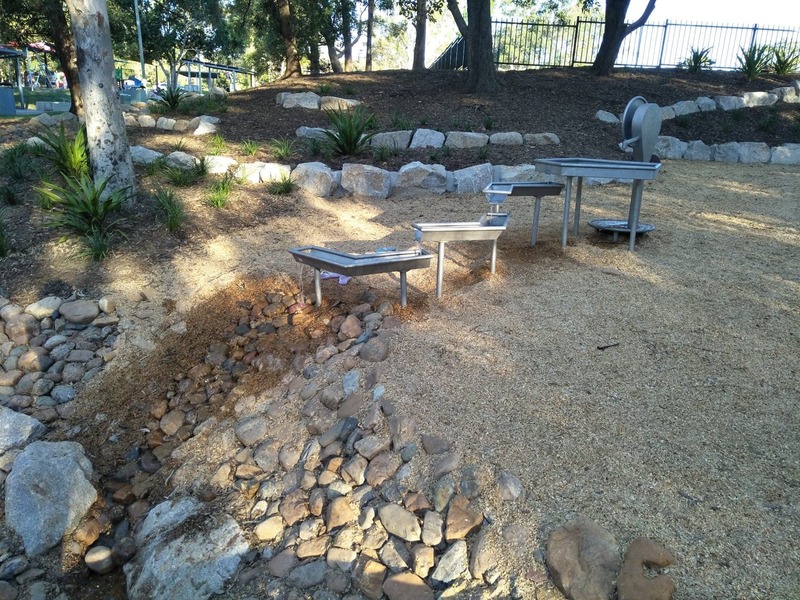 Parents and carers can settle in at one of the three new covered picnic tables, fire up a BBQ, or simply relax at one of the many seated areas dotted around the play area. For those who enjoy more traditional play equipment, the fantastic FUNderwood Hollow is a short stroll away along a stroller- and wheelchair-accessible path, as well as a covered, sand-based playground for the younger kids. The park has plenty of parking and public toilet facilities, so it's quite easy to spend the whole day here.